Get ready for the 30th Annual Spring Daytona Turkey Run. Show admission: $10/day Friday.- Sat, $5 Sunday. Children under 11 are Free! The 30th Spring Daytona Turkey Run presented by White Diamond welcomes thousands of beautiful classic and custom cars, a massive swap meet, arts and crafts on Artisan Alley, music, great food and drink and DOGS! The family event kicks off at 8 a.m. on Friday, March 22nd at the Daytona International Speedway, and runs through Sunday, March 24th. Vertical, & Speed Retrieve® competitions. Competition dates are March 23rd and March 24th. Visit www.dockdogs.com or www.turkeyrun.com for full schedule and more information. tickets include special Hops and Hoods parking. always free to enter the show.  Take a Kid to a Car Show – Spending quality time with a kid is the greatest gift we can give them. And sharing our appreciation for collector cars is a great way to nurture their interest in a hobby that can be enjoyed together for many years to come. The first 500 kids to enter will get a special Turkey Run gift!  Annual classic car parade lap around the track! Registered show cars will enjoy a fun lap around the iconic Daytona International Speedway track on Sunday, March 24th at 2pm. The Spring Daytona Turkey Run is open to the public and features thousands of vintage, classic, custom, muscle cars, race cars and trucks on display and for sale, as well as a massive swap meet in which vendors sell and trade hard-to-find auto parts and accessories. There are also arts and crafts on Artisan Alley and a full midway of delicious food and drink vendors. 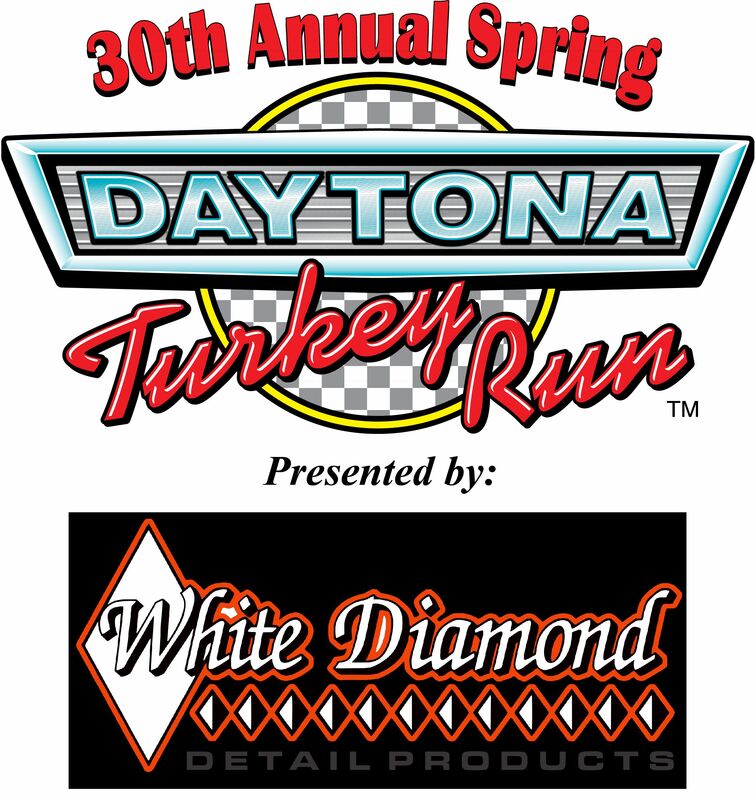 The Spring Daytona Turkey Run is presented by White Diamond and sponsored in part by Spectrum. Admission is $10 Friday and Saturday and $5 on Sunday with free parking. Children under 11 are free when accompanied by an adult. Show hours are 8 a.m. to 4 p.m. Friday and Saturday, 8 a.m. to 2 p.m. Sunday. In its history, more than $12 million in Daytona Turkey Run proceeds have been granted to capital projects in our community that improve residents’ quality of life. More information can be found at www.TurkeyRun.com. Disclaimer: This is a sponsored post to get the word out about this great event. Tickets to the event are being provided to us, and we are thrilled to be going!